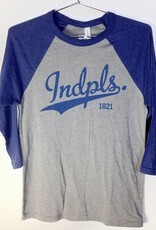 This is a one color print of the shortened version of Indianapolis. 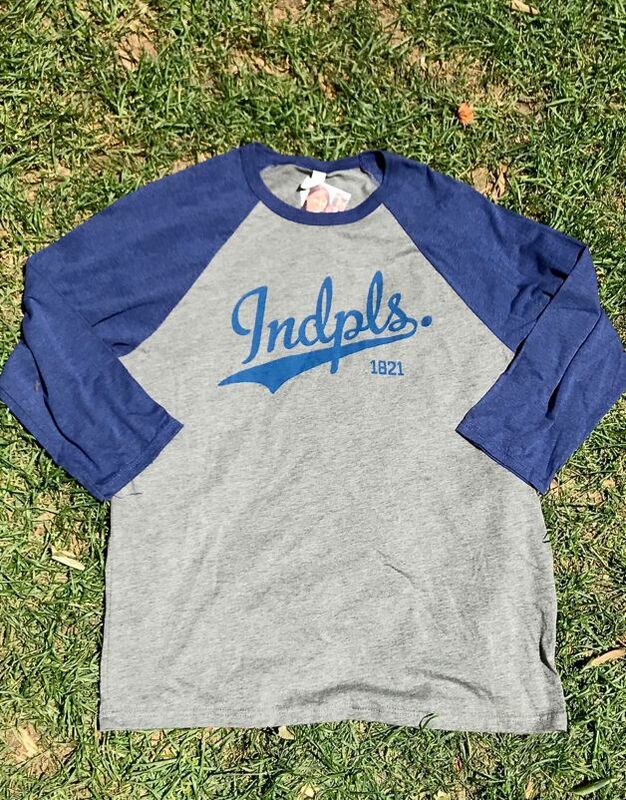 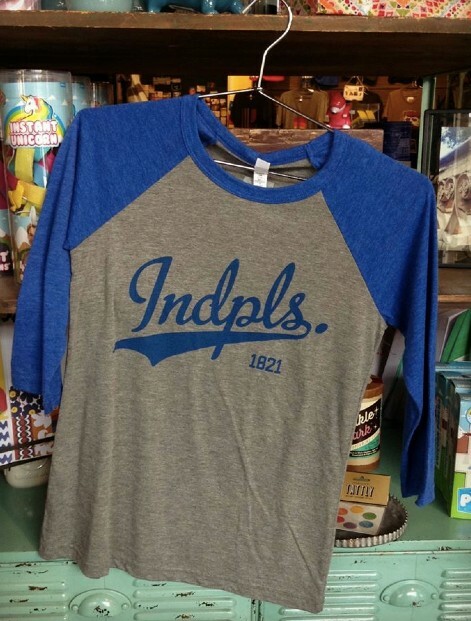 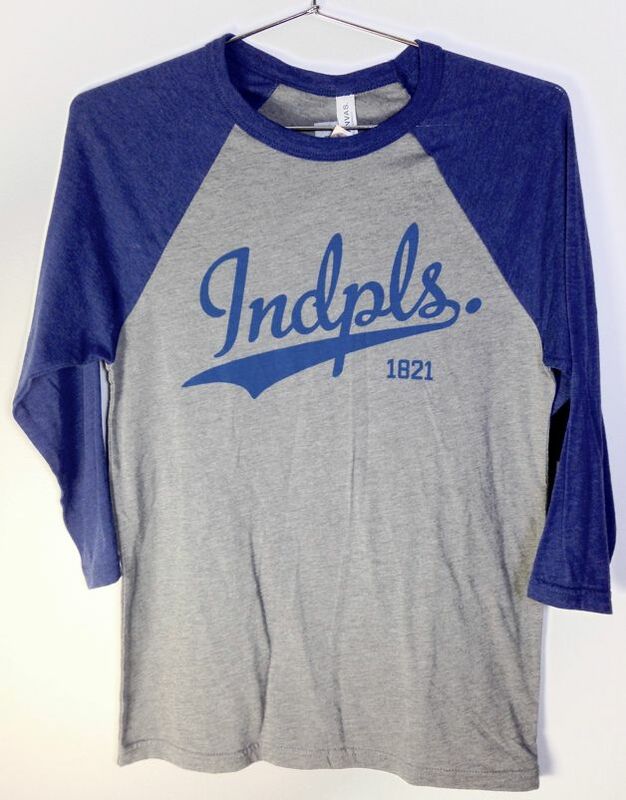 It's time we start celebrating the city of Indianapolis, and these shirts are the first part of a campaign to increase urban pride, awareness, and connectivity. 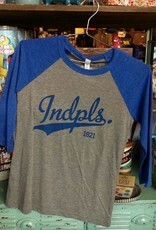 Baseball shirts were designed by PUP and printed locally by our friends at The Art Press. 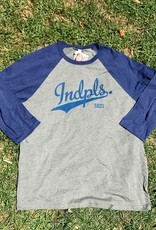 Proceeds benefit PUP's ongoing community design initiatives.